What is the VET Student Loans program and how can my organisation apply? 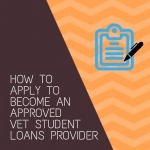 The VET Student Loans (VSL) program is an income contingent loan offered by the Australian Federal Government that helps eligible students pay for some vocational education and training (VET) diploma level or above courses. VSL courses can only be offered by a limited number of registered training organisations (RTOs) that have been reviewed and authorised by the Federal Department of Education as an approved provider of the VET Student Loans program. Applicants should check the approved course list to ensure that they offer at least one course on the approved course list, before applying. To apply to become a VSL course provider, an organisation must demonstrate that it meets the course provider requirements set out in the VET Student Loans Act 2016 (Part 4, Division 1) and the VET Student Loan Rules 2016 (Division 3), made under the Act. (h) be a member of an approved external dispute resolution scheme. Note: If Part IIE of the Ombudsman Act 1976 (VET Student Loans Ombudsman) is an external dispute resolution scheme, all approved course providers are taken to be members of the scheme (see section 42BA). for which the Commonwealth, a State or a Territory provided funding (including by way of loans to students). how your training processes have benefitted students – eg. References or articles and good news stories indicating that your training has benefitted the community at a local, state or national level. Legislation and standards the RTO complies with and how it ensures reporting and other legislative requirements such as OH&S, anti-discrimination, privacy, etc., are being met. RTO involvement in relevant industry presentations, conferences, etc. The Application Submission Outline and the VSL Workbook are not publicly available and will only be provided to applicants who register their interest in applying for approval. In accordance with the Act, for an application to be approved, it must be submitted in the form provided by the Secretary and be accompanied by the Application Fee. According to the VSL Information for new providers Fact Sheet released early in 2017, stringent requirements will be placed on VSL course providers and only high quality, trusted providers will be approved. An application fee of $5,110 applies to this application round (opening on 30 August 2017). The Application fee ($5,110) is required to be paid before the RTO’s application can be assessed and payment is required within 14 days, after receiving an invoice from The Department, following lodgement of your application on HITS. The VET Student Loans program commenced on 1 January 2017. The first applications round for eligible organisations to apply to become VSL course providers, closed on 20 February 2017. A second application round opened on 30 August 2017 and is due to close at 11.59pm on 26 September 2017 (Canberra time). Deadline for submission of any questions providers may have, is 4pm Wednesday 13 September 2017. Information sessions for interested providers, were held in Canberra on Tuesday 5th September 2017. You must have an active account with HITS in order to submit your VSL application. If you do not have a HITS account, you need to complete the HITS Credentials application form and submit this to the Department as soon as possible. Become familiar with the VET Student Loans Act 2016 and the VET Student Loans Rules 2016 https://www.legislation.gov.au/Details/C2017C00183 and https://www.legislation.gov.au/Details/F2017C00602 to ensure your understanding of your obligations and responsibilities as an approved VSL course provider. Check the threshold criteria to ensure you are eligible to apply to become an approved VSL course provider. If you already have a HITS account, determine if it’s active by logging onto HITS using your existing user ID and password. If you do not have a HITS account, complete the HITS Credentials application form and submit this to the Department. Get your annual financial statements for the current year as well as the previous 2 years signed off by an independent qualified auditor; also obtain auditor’s declaration of compliance and report on your financial performance during the three financial periods. Financials can often take the most amount of time to prepare, so the first thing that you need to do is ensure that your organisation’s financials meet the Financial performance requirements. Collect industry/employer or other bodies’ referrals as evidence that your courses meet workplace needs and improve employer outcomes for students. Start addressing the Course Provider and Provider Suitability Requirements as outlined in the VSL – Application Submission outline. Information and credentials on your key personnel. Check all application documents including attached evidence to ensure their accuracy and compliance with the application requirements. Check file names against recommended naming conventions listed in the Approved Course Provider Application Guide. Pay the invoice for your $5110.00 application fee. As mentioned above all applicants are required to pay an Application fee of ($5,110). This fee is required to be paid before the RTO’s application can be assessed and it must be paid within 14 days after receipt of an invoice, following the lodgement of your application on HITS. Submit your application on time! Don’t forget to submit your application through HITS, before 11:59pm on Tuesday 26 September 2017. The Department will not accept the late submission of applications. The information provided in this update is our analysis and interpretation of the VET Student Loans application requirements. This information should not be solely relied on for the purpose of your application. Always refer to the information provided by The Department, this will always be the source of truth. For more information please contact Audit Express Pty Ltd. If your organisation needs help completing the VET Students Loans application get in touch with the team at Audit Express by phoning 1300 73 55 41 or click here to send us an email.